Indian Royal Wedding in India, Royal Wedding Place,Royal Wedding. India is a land of rich culture and heritage. The whole world is fascinated by the vibrant culture of India and wants to blend in this culture. India is the top destination for travelers as well as destination weddings seekers. India is blessed with numerous romantic destinations, mesmerizing locations and amazing spots for the arrangement of destination wedding and wedding shoots. India is also blessed with its glorified past. Many dynasties rule over the centuries to this prosperous country. One can easily get the glimpse of the historic era and their grand history through the majestic heritage monuments in India. Indian Royal wedding is always known for lavish and grand arrangements. If we read about Indian history, the wedding has a very important role in Indian culture, in fact, today every wedding couple wish to plan a royal wedding similar to the historic era. The Indian royal wedding theme is highly in demand these days. Every wedding couple wants a royal destination wedding which is inspired by the historic era. Royal palace wedding venue, Silk drapes curtain, large chandeliers, and candles, golden pillars, Butlers, royal sofas, Mughalai and shahi cuisine, colonialism flower arrangements, flower petals shower, Floral rangolis, Royal band these kinds of arrangements distinguish regal Indian weddings than another wedding. The wedding is a very special moment for every couple, every couple wants to be like a king and queen of a dynasty and to conquer the world on the big wedding day, this is the passion for royal wedding which seems in every wedding couple dreams. 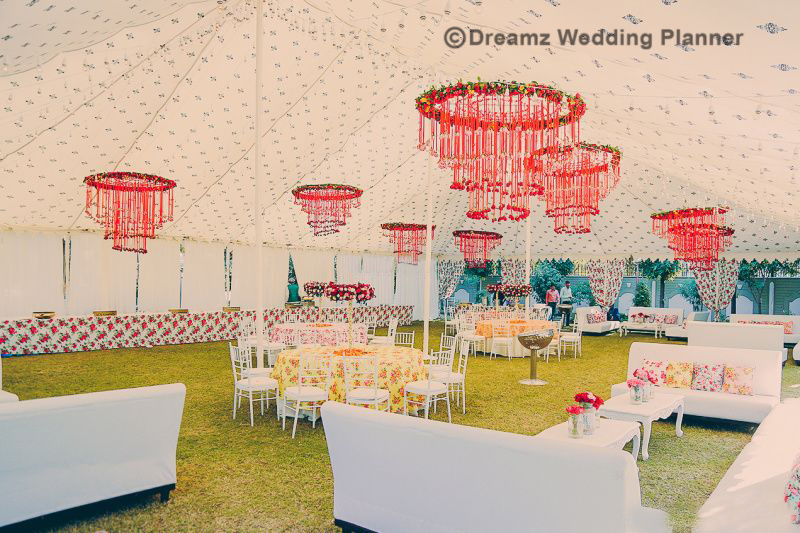 Dreamz wedding planner organizes special and unique royal theme wedding according to the client’s requirement. Indian royal wedding is not a one-day event. 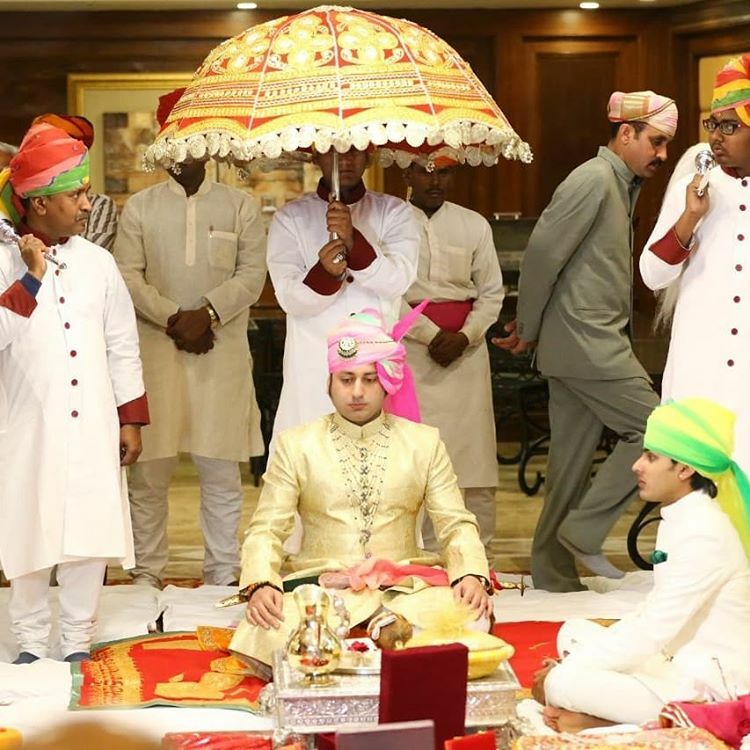 Indian royal wedding is a grand celebration of two or more days following by different-different wedding ceremonies like Mehndi, Sangeet, Shangan, Haldi, Reception and many more according to the family rituals. Dreamz wedding planner understands the requirement and makes special arrangements and theme for each ceremony. The celebration of weddings does not stop here, Royal Indian wedding has many special entertainments arrangements to entertain your guests like Firecrackers, Folk dancers, Folk musicians, Royal massagers, palmists, Dholkas, Nagadas, puppet shows, these royal arrangements reminds the royal darbar (Courtroom of kings )of royal kings dynasties. Mehndi, mehfil, and music are the essential part of the Royal palace wedding in India. Udaipur is the land of Palace and lakes surrounded with the majestic Aravali hill around the city. Udaipur is also called the city of lakes, this city is founded by Maharaja Udai Singh II as a leisure place for kings and for their entertainment like hunting, lake riding, festival celebrations. Udaipur is blessed with numerous palaces, Hawelis and many heritage properties which are possessed by different- different group of hotels. 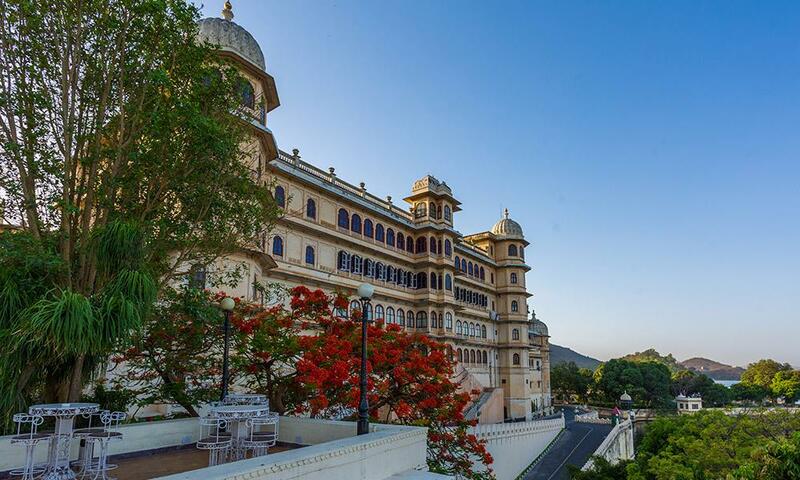 The architecture and interior of these palaces remain same as the years ago showcasing the royal and regal heritage of Rajput and Mewar kings but the hotel groups groom the hospitality and provide world-class facilities in Udaipur to organize destination weddings. For royal wedding arrangements, you need to hire a wedding professional who can understand your wedding requirements. Udaipur has blessed with palaces around the lake Pichola like Udaipur City Palace, Jag Mandir Island palace, Fatehgarh Palace, Lake Palace, Shiv Niwas Palace, Jagat Niwas Palace etc. These heritage palaces are full of rich and regal ambiance which is needed for Royal Wedding. 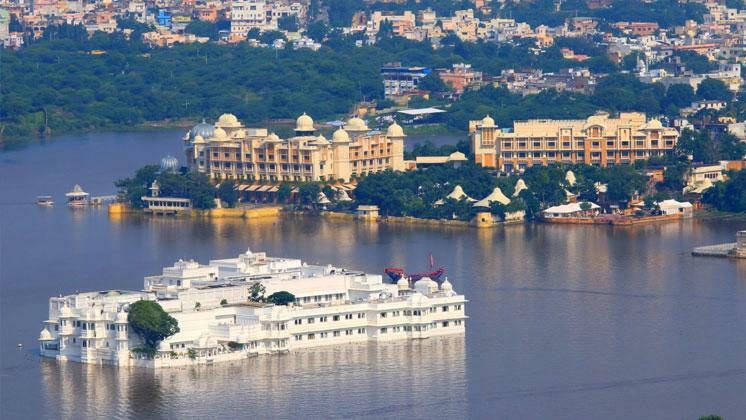 These palaces are providing great hospitality and special royal arrangements for the Royal wedding in Udaipur. For more details about these palaces read our blog ‘Palace wedding venues in Udaipur’. Jaipur is the capital and largest city of Rajasthan. It was founded by Maharaja Jai Singh II, Jaipur is the blend of traditional and modern facilities. 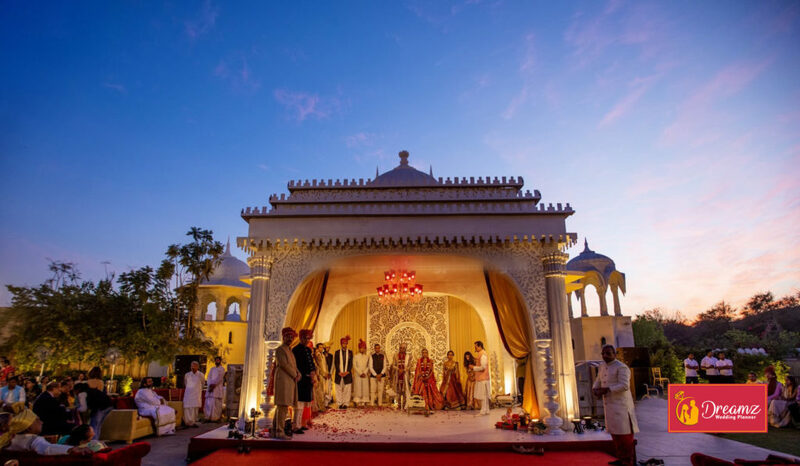 Jaipur is a rich land which is blessed with regal and royal palaces like City Palace Jaipur, Taj Ram Bagh Palace, Raj Palace, Jal Mahal Palace, Samode Palace and Chomu Palace, Mendota Place Jaipur is the world famous destination to arrange fairytale royal weddings. Each palace has sufficient space and royal ambiance to arrange a destination wedding. Hotel groups are providing facilities and modern amenities to design custom made wedding according to client’s requirement. Each palace has unique specialties and historical background. For more details about Palaces in Jaipur read our blog ‘Palace wedding venues in Jaipur’. Jodhpur is the second largest city of Rajasthan. It was founded by King Rao Jodha. Jodhpur has a rich culture of Marwar, which is featuring in forts, palaces, built by the Rajput and Rathore kings. Weddings in Jodhpur showcasing the rich Rajput and Marwar culture history. Places like Umaid Bhawan Palace, Indiana palace, each palace is a unique piece of art and Marwar culture. 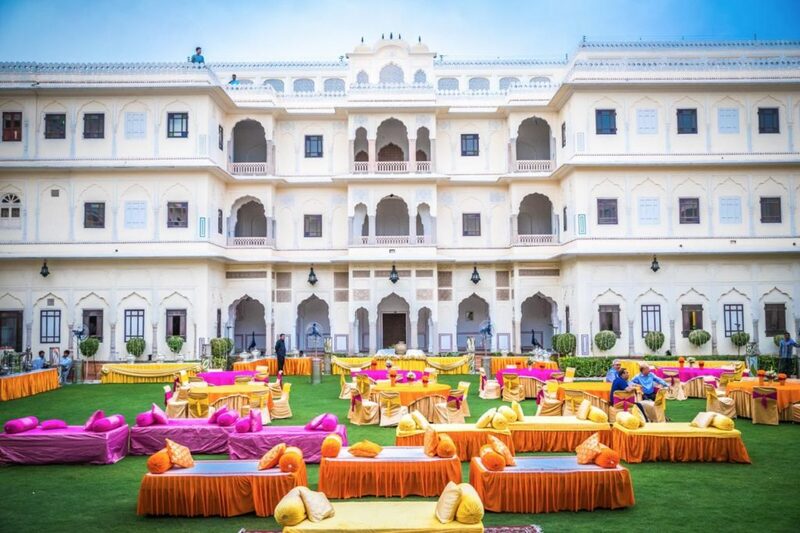 Heritage hotel in Jodhpur provides all the facilities like unique royal décor, lightening, Rajasthani and world-class cuisine to satisfy the taste buds of your wedding guests. The authentic Rajasthani performance like kalbelia dance, folk dance, folk music, and other performances are arranged to entertain the guests. Wedding in Jodhpur is extravaganza wedding experience for a lifetime which converts your wedding moments in magical moments. India is a land of diverse culture and heritage monuments. Other destinations for weddings are Neemrana fort palace it is situated near Delhi on Jaipur- Delhi highway, Neemrana fort is an old heritage property and an immerse place for the destination wedding. 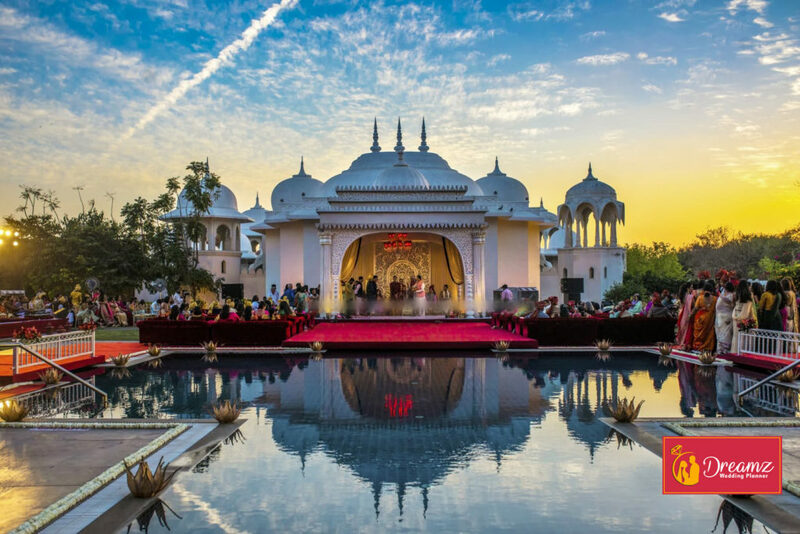 Apart from this, there are many palaces in India where you can arrange your dream destination wedding. Suryagarh Palace Jaisalmer, Taj Falakhnuma Place, Hyderabad, Mysore Palace, Mysore are some unique and splendid palaces for the destination wedding in India. 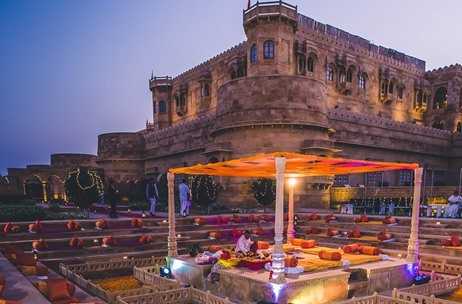 India is blessed with many majestic wedding venues, fort, and palaces. 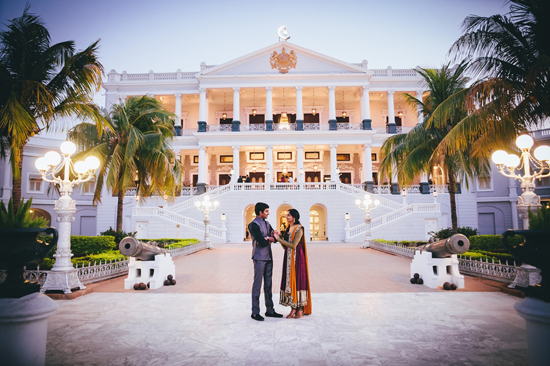 These palaces provide lavish ballrooms, grand lawn area, historic antique interior, dazzling lights and many picturesque locations for destination wedding shoots.